The natural compounds in rosemary oil contain strong cleansing properties, making it ideal for anyone concerned with Immune System health. 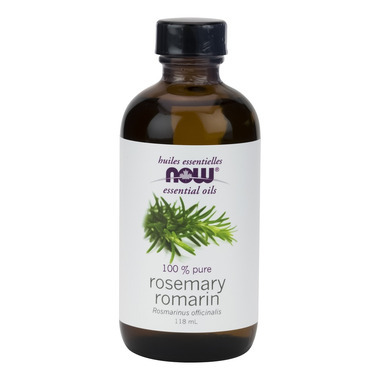 NOW Rosemary Oil is steam-distilled from the tops of the rosemary plants. Rosemary has a warm and camphoraceous aroma and is known for it's purifying and uplifting attributes. I love this oil. Smells like rosemary out of the garden. I purchased this product two months ago, and find to works well for my lifestyle. I typically use rosemary oil everyday for aromatherapy and yoga classes. Having a larger quantity of the product helps ensure I always have supply for my yoga and meditation classes.